"The roségold foil effects are so shiny and made this decoration special. In the background I used some washi from the Amelia rose collection. The colors fit perfectly to the „enchanted“ die cuts. As you can see, I used those pretty day cling stamps to finish my layout. I was so inspired by this collection so I create a daily task list with the enchanted notepad (prima hack: just cut off the ring wholes ;)) and a inspire me side with this gorgeous Ballon girl." 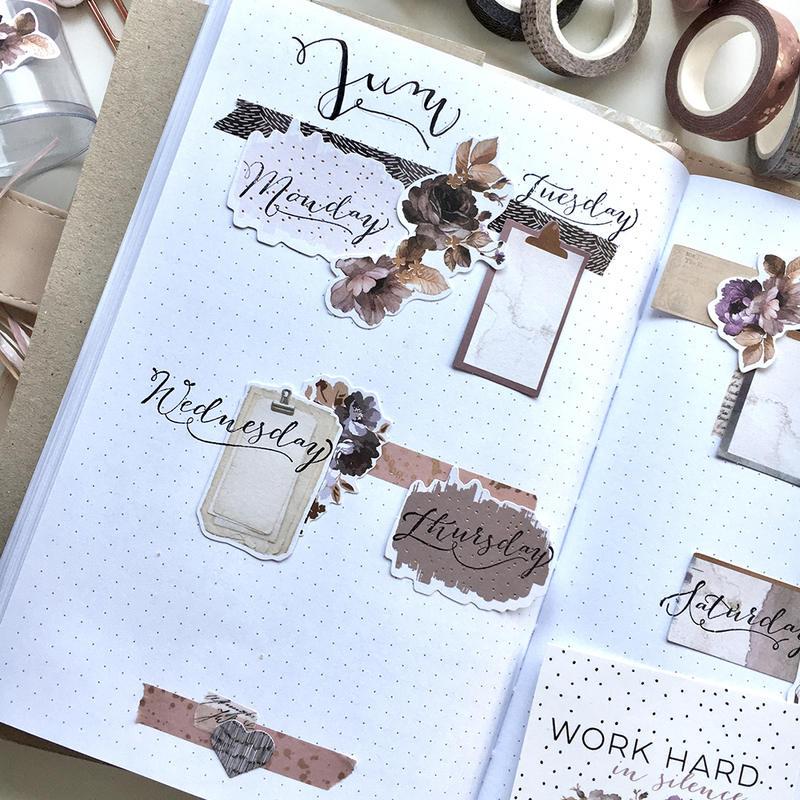 Sophie used the Enchanted Planner kit (596415) in her traveler's journal as well as the PTJ Bullet Journal Stamp (599997) and many Prima washi tapes such as the Amelia rose collection (596750), Blush Notes (630577) and Vintage Craft and White decorative tapes (630533). 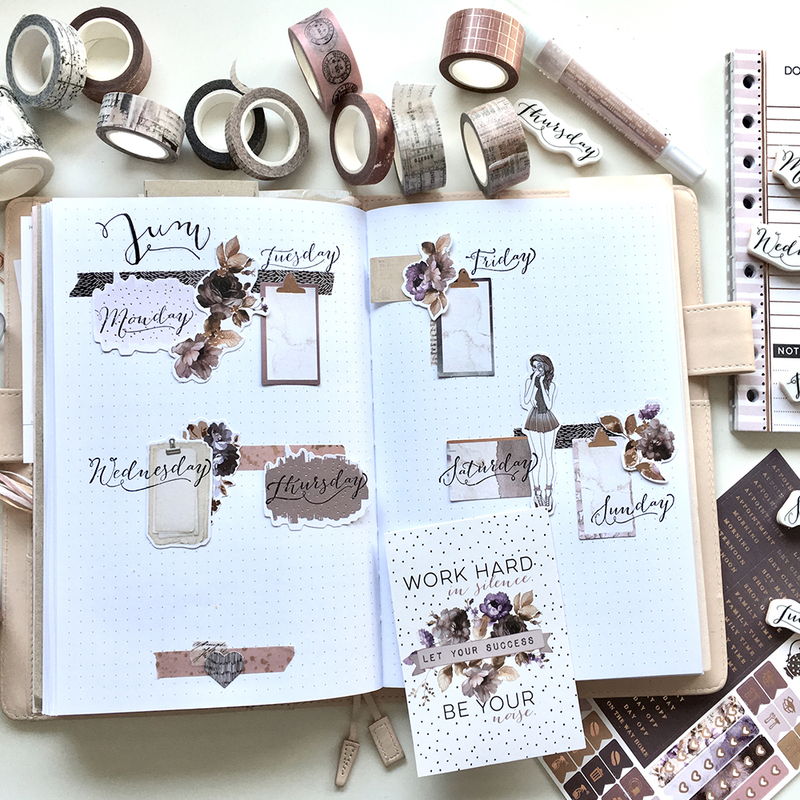 Sophie used the day tags from the ephemera pieces in the enchanted collection as well as the PTJ weekly stamp set throughout her layout. 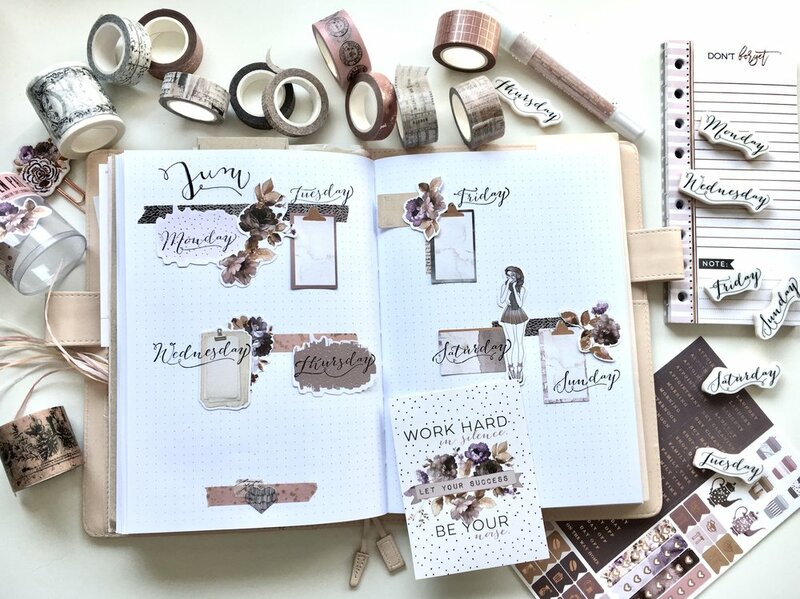 The Enchanted Planner Kit comes with so many elements making it easy to use in any planner, from the ephemera pieces, journaling cards, note paper, stickers and even paperclips and crystals. this planner kit is the perfect starter kit to set up your ring bound planner or travelers journal. To see more inspiration by Sophie @phiespoetry make sure to follow her on Instagram.